Jony added a member for Patch-For-Review: Jony. Jony changed the status of T220602: Convert property Irish Grid Reference (P4091) from External identifier to String from Open to Stalled. Jony updated the task description for T220602: Convert property Irish Grid Reference (P4091) from External identifier to String. Jony created T220602: Convert property Irish Grid Reference (P4091) from External identifier to String. Jony added a member for Epic: Jony. Jony added a watcher for Tool-lists: Jony. Jony added a member for Tool-lists: Jony. Jony added a watcher for Tool-admin: Jony. Jony added a member for Tool-admin: Jony. Jony added a watcher for Stewards-and-global-tools (Temporary-UserRights): Jony. Jony added a watcher for StructuredDiscussions: Jony. Jony added a member for StructuredDiscussions: Jony. Jony added a watcher for Push-Notification-Service (Project Setup): Jony. Jony added a watcher for Phabricator-Sprint-Extension: Jony. Jony added a member for Phabricator-Sprint-Extension: Jony. Jony added a watcher for Phabricator-Bot-Requests: Jony. Jony added a member for Phabricator-Bot-Requests: Jony. Jony added a watcher for PerformanceInspector: Jony. Jony added a member for PerformanceInspector: Jony. Jony added a watcher for Mobile-Web-Settings: Jony. Jony added a member for Mobile-Web-Settings: Jony. Jony added a watcher for MediaWiki-Watchlist: Jony. Jony added a member for MediaWiki-Watchlist: Jony. Jony added a watcher for MediaWiki-User-login-and-signup: Jony. Jony added a member for MediaWiki-User-login-and-signup: Jony. Jony added a watcher for MediaWiki-User-preferences: Jony. Jony added a member for MediaWiki-User-preferences: Jony. Jony added a watcher for MediaWiki-Uploading: Jony. Jony added a member for MediaWiki-Uploading: Jony. Jony added a watcher for MediaWiki-Templates: Jony. Jony added a member for MediaWiki-Templates: Jony. Jony added a watcher for MediaWiki-Revision-deletion: Jony. Jony added a member for MediaWiki-Revision-deletion: Jony. Jony added a watcher for MediaWiki-Recent-changes: Jony. Jony added a member for MediaWiki-Recent-changes: Jony. Jony added a watcher for MediaWiki-Patrolling: Jony. Jony added a member for MediaWiki-Patrolling: Jony. Jony added a watcher for MediaWiki-Page-protection: Jony. Jony added a member for MediaWiki-Page-protection: Jony. Jony added a member for MediaWiki-Page-editing: Jony. Jony added a member for MediaWiki-Page-deletion: Jony. Jony added a watcher for MediaWiki-Gallery: Jony. Jony added a member for MediaWiki-Gallery: Jony. Jony added a watcher for MediaWiki-File-management: Jony. Jony added a member for MediaWiki-File-management: Jony. Jony added a watcher for MediaWiki-extensions-EmailAuth: Jony. Jony added a member for MediaWiki-extensions-EmailAuth: Jony. Jony added a watcher for MediaWiki-extension-requests: Jony. Jony added a member for MediaWiki-extension-requests: Jony. Jony added a watcher for MediaWiki-Email: Jony. Jony added a member for MediaWiki-Email: Jony. Jony added a watcher for Reading Epics (Location Search): Jony. Jony added a member for local-charts: Jony. Jony added a watcher for Loading Screen: Jony. Jony added a member for Loading Screen: Jony. Jony added a watcher for IRCecho: Jony. Jony added a member for IRCecho: Jony. Jony added a watcher for IPSet: Jony. Jony added a member for IPSet: Jony. Jony added a watcher for iNaturalist: Jony. 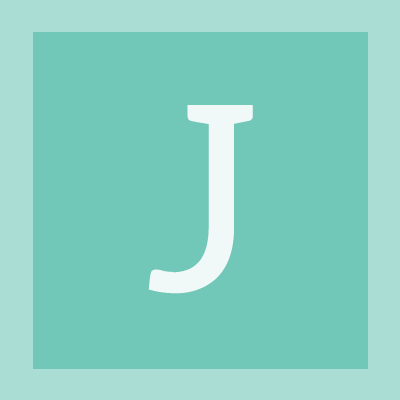 Jony added a member for iNaturalist: Jony. Jony added a watcher for Improving-access: Jony. Jony added a member for Improving-access: Jony. Jony added a watcher for WMSE (Grants): Jony. Jony added a watcher for GlobalUserPage: Jony. Jony added a member for GlobalUserPage: Jony. Jony added a watcher for GlobalBlocking: Jony. Jony added a member for GlobalBlocking: Jony. Jony added a watcher for GitHub-Mirrors: Jony. Jony added a member for GitHub-Mirrors: Jony. Jony added a watcher for Gadgets: Jony. Jony added a member for Gadgets: Jony. Jony added a watcher for WMSE (Economy): Jony. Jony added a watcher for Services (done): Jony. Jony added a watcher for Developer-Wishlist: Jony. Jony added a member for Developer-Wishlist: Jony. Jony added a watcher for MinervaNeue (Desktop): Jony. Jony added a watcher for Wiki-Setup (Delete / Redirect): Jony. Jony added a watcher for Data-Services: Jony. Jony added a member for Data-Services: Jony. Jony added a watcher for Data-release: Jony. Jony added a member for Data-release: Jony. Jony added a watcher for Wiki-Setup (Create): Jony. Jony added a watcher for Cloud-VPS: Jony. Jony added a comment to T216152: AMC Navigation - add new links to main menu with click tracking. @alexhollender actually it is an community proposal, it was proposed on facebook discussion. @ovasileva @alexhollender move option need to be added. Jony added a watcher for WMF-NDA: Jony. Jony added a watcher for Cloud-VPS (Project-requests): Jony. Jony added a watcher for LDAP-Access-Requests: Jony. Jony added a member for LDAP-Access-Requests: Jony. Jony created T217088: New looks for mobile web. Jony added a comment to T210085: Help mapping synonyms. @bmansurov I'm not native English speaker but my English level is good also I've two years experience on enwiki. If anything for me let me know I'll give you a email. Sincerely, ZI Jony. If required help for advanced English I could do it. Jony closed T209718: Please add <https://unsplash.com> to the wgCopyUploadsDomains whitelist of Wikimedia Commons as Resolved. Jony closed T209718: Please add <https://unsplash.com> to the wgCopyUploadsDomains whitelist of Wikimedia Commons, a subtask of T60224: Add domains to $wgCopyUploadsDomains (tracking), as Resolved. Jony closed T206343: Undo bogus PayPal cancellations as Resolved. Jony claimed T206343: Undo bogus PayPal cancellations. Jony created T209718: Please add <https://unsplash.com> to the wgCopyUploadsDomains whitelist of Wikimedia Commons. Jony added a comment to T203363: Please add http://www.bollywoodhungama.com to the wgCopyUploadsDomains whitelist of Wikimedia Commons. @Aklapper: http://www.bollywoodhungama.com/parties-and-events/* is under commons "Cc-by-3.0-BollywoodHungama https://ticket.wikimedia.org/otrs/index.pl?Action=AgentTicketZoom&TicketNumber=2008030310010794. If required any think more please ask me. Jony renamed T203363: Please add http://www.bollywoodhungama.com to the wgCopyUploadsDomains whitelist of Wikimedia Commons from Please add <http://www.bollywoodhungama.com> to the wgCopyUploadsDomains whitelist of Wikimedia Commons to Please add http://www.bollywoodhungama.com to the wgCopyUploadsDomains whitelist of Wikimedia Commons.